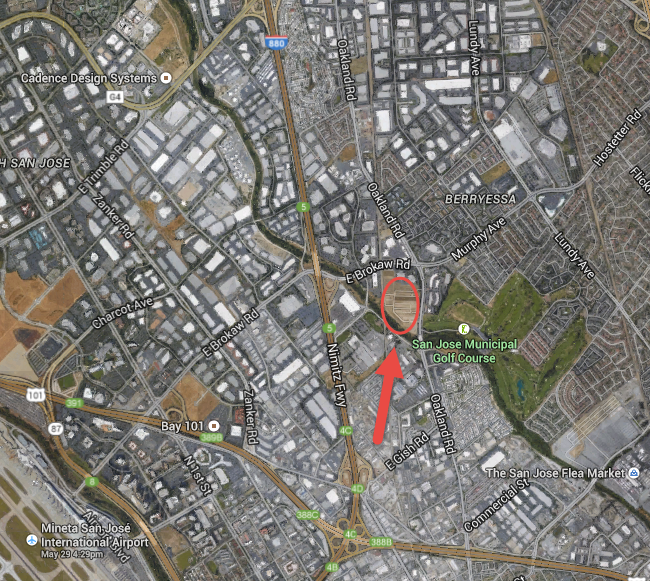 A new Sprouts Farmer Market is going to anchor a new 150,000 SQFT retail center at the southwest corner of East Brokaw and Oakland Road in North San Jose. This will fill up a huge gap in grocery options for this neighborhood, which is a key area for mixed-use development in San Jose. While there are tens of thousands of tech jobs within a few square miles, residential projects have also started to infill the area. 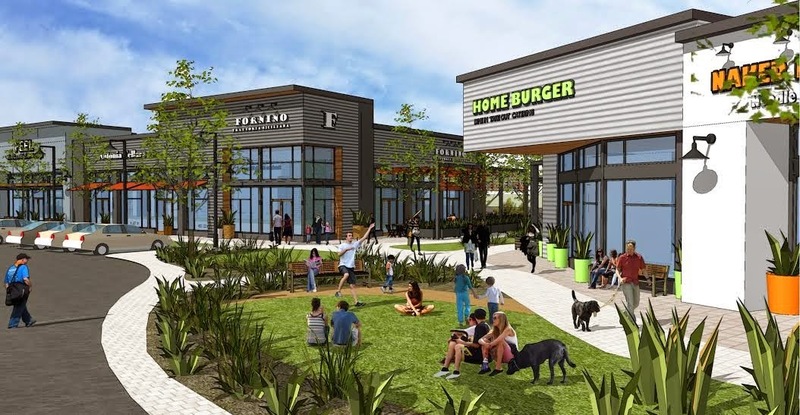 The New Home Company is building 239-units right behind the new retail center and KB Home is building out thousands of units at the San Jose Flea Market nearby. Sprouts will take about 30,000 SQFT of the retail center, but their brand cache is strong enough to get the center renamed from Brokaw Plaza to Sprouts @ Brokaw. No other tenants have officially been announced, but the developer is in lease negotiations with about 30 tenants. Hopefully some will be unique or at least new to San Jose instead of the same old chains. The circle is not really in the right place. That is where housing is going in. The buildings in the corner were knocked down to make room for this center.